Gently kissed by the romantic mist of the Great Smoky Mountains, Sampson’s Hollow been recognized as a Century old farm by the state of Tennessee, making it a historical site deeply rooted in Appalachian values and traditions. 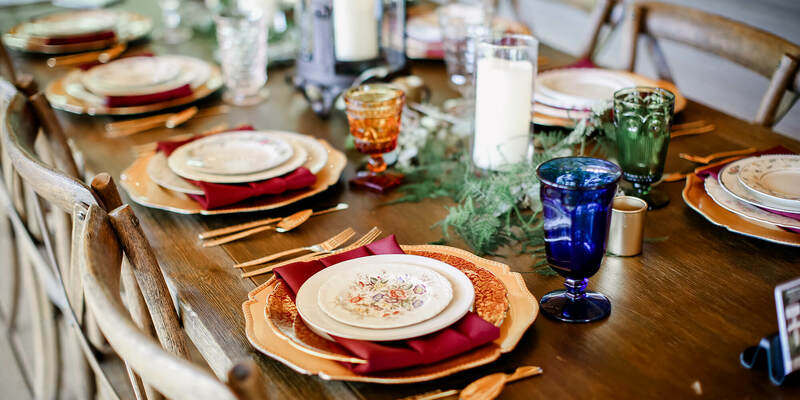 The charm of a farm wedding can be as rustic and vintage as influenced by your favorite Pinterest boards, surrounded by a canopy of tall trees, with moss and foliage as ground cover, or classically elegant and romantic, depending on your heart’s vision. 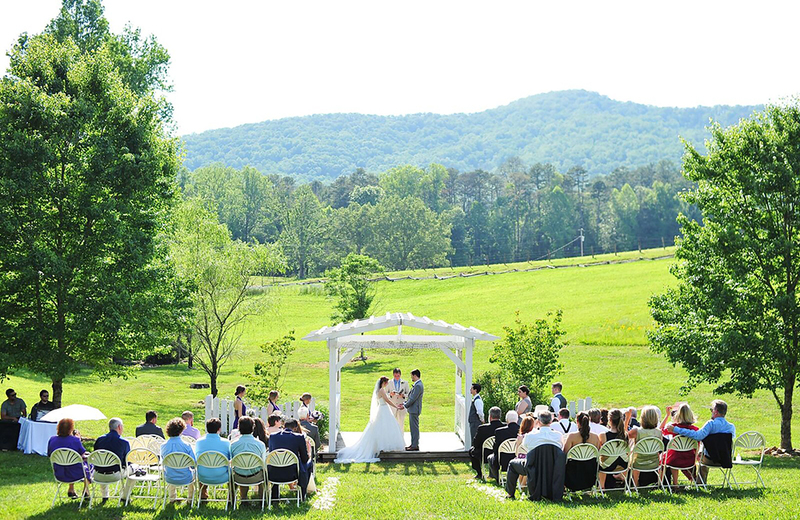 Our venue lies in the shadow of the national park, in a valley surrounded by the majestic Smoky Mountains. We are located next door to world-renown Blackberry Farm, and share the same stunning views and vistas. The panoramic venue is tucked away, distanced from the sounds of traffic going to the most visited park in the nation, the Great Smoky Mountains, yet easily accessible to your family and guests. What makes us any different than other venues in the area? We sincerely care about our brides and grooms. We care about the experience from your guests’ point of view and will apply hospitality in everything we do for your wedding day. Our courteous, experienced coordinators want to help you build a package that will be perfect for your own happily-ever after. 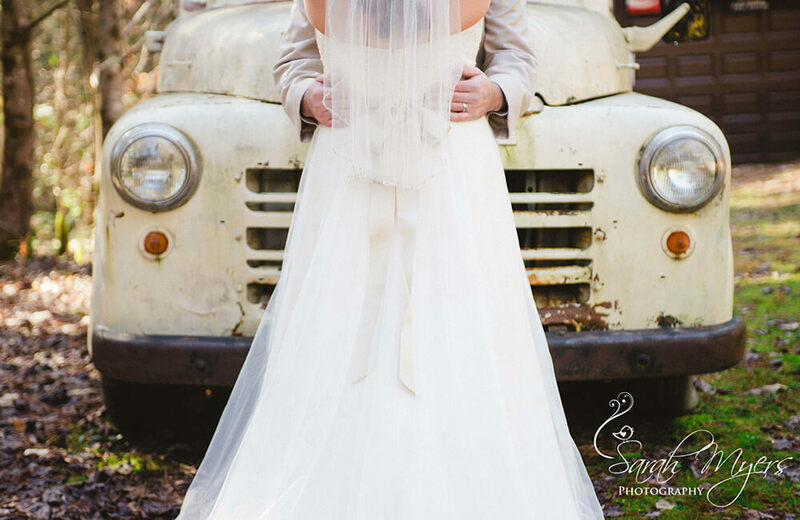 Sampson’s Hollow is an all-inclusive venue specializing in wedding ceremonies and receptions for up to 175 guests. Has he asked the most important question of your life and you have said, yes? Please contact us for more information and to schedule a visit to the mountains. We would be honored to take care of you, your family and your friends in this once in a lifetime journey. There is such a gracefulness about a willow tree. It’s long, loping branches of greenery dance to the gentle breeze of the wind. We planted willow trees when we first started Sampson’s Hollow in 2005. One of our particular favorite weeping willows grows well as it was planted at the head of the wet weather spring, the same one that has been used to provide water in the pastures for over one hundred years. The roots of the willow have soaked up the life-given moisture of the earth. Even when the sun bears down on it and the ground seems dry on the surface–it continues to grow taller and healthier. A willow doesn’t need a great deal of pampering or attention. In fact, it can be easily propagated and new growth can be started just by sticking a stem in water and waiting for it to start sprouting roots. The branches can be used to mold and to make works of art and are flexible and giving. Isn’t that kind of symbolic of what a successful marriage needs to strive to be? A happy parallel I like to think. View more from Sampsons Hollow! 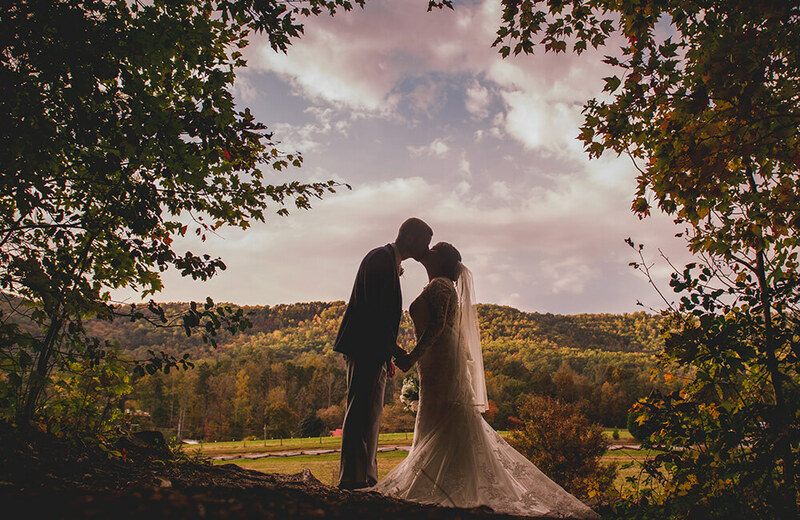 For a stressless wedding, choose Sampson’s Hollow. 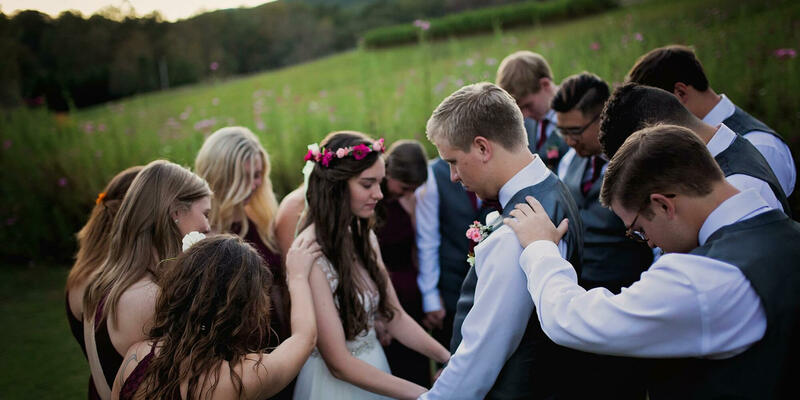 I had seen too many of my friends with stress and anxiety leading up to their wedding day. I wanted to enjoy the planning process and our wedding, and Sampson’s Hollow was the perfect choice. Janice, our coordinator Carole, and their staff treated us like family from day one. They took care of every detail, including the ceremony, reception, food, decorations, and clean up. Everyone working there is fun and easy to work with. My guests raved about how beautiful the venue was and how good the food tasted. I am still craving the wedding cake that Maggie made for us! They created a beautiful day that made all my little girl dreams come true! I could have never imagined a fairytale like our wedding day. Lesley at Sampson’s Hollow made everything happen perfectly. I was a very young bride who wasn’t sure what she wanted, but our day ended up being a dream. Thank you, Lesley, and everyone at Sampson’s Hollow, for making our dreams come true. We love you. Our wedding day was absolutely perfect thanks to the staff at Sampson’s Hollow! They all went above and beyond to make sure we were comfortable and having the best day possible ❤️ Lesley and Krista were the kindest and sweetest people who worked hard all day to make sure everyone was comfortable and having a good time. Throughout the whole process my fiancé and I felt like family rather than just another couple giving them business. From the beginning planning stages all the way till we said “I do” it was 100% stress free. We could not have asked for a more beautiful and stunning wedding day. Sampson’s Hollow will soon be opening a general mercantile on property. We will be adding an assortment of personalized and handcrafted items to our guests who visit the farm. For your shopping convenience, or if you would like to order a gift for a bride and/or groom, or to say congratulations, please visit our online gallery for products.You can pay online and we will gift wrap and deliver it to them on the day of their wedding with an enclosed card from you. We will be adding additional merchandise throughout the coming months!